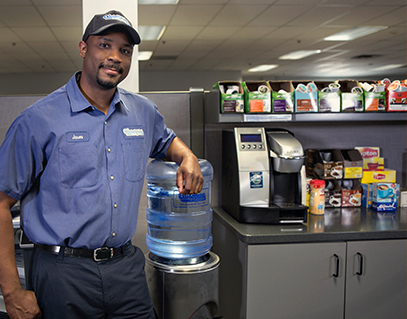 For over 100 years, Absopure has been a leader in delivering office refreshments. We reliably bring flavorful, high quality coffee brands to thousands of small-, medium- and large-sized businesses throughout the Midwest. Exceptional coffee begins with the purest water, and you can get both delivered to your office from Absopure! From Dark Magic to Wild Mountain Blueberry, Absopure offers coffee to match the unique taste preferences of every single employee. 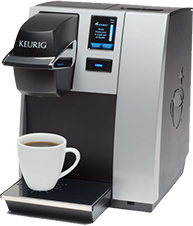 With Keurig’s® Single Cup Commercial Brewer and your choice of over 70 coffee and tea flavors, you’ll feel like you have a barista in your breakroom! A better pot of coffee starts with Absopure office coffee services. We start with the best beans from brand names like Starbucks®, Green Mountain®, Folgers® and our own Absopure premium roasts and blends. Our coffee brewers can even connect to your Absopure water – bringing out the true taste in every cup! 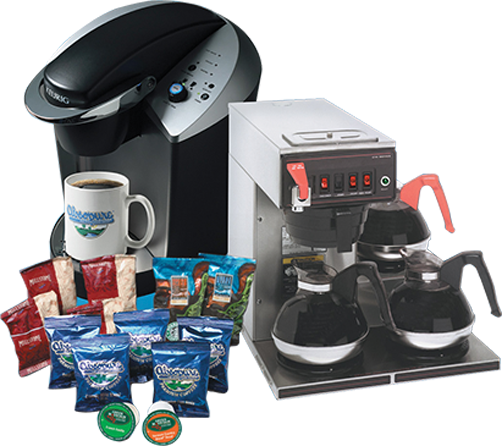 Your Absopure workplace coffee service comes complete with cups, creamers, sweeteners, accessories and more. 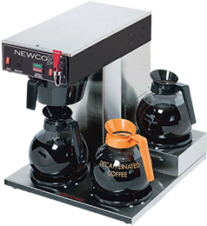 We offer brewing machines in a range of styles and sizes and can help you find the solution that fits your business and your budget. In addition to delivering the finest bottled water, take a look at the fine selection of coffees we can bring right to your work place. Absopure delivers coffee for brewing by the cup or by the pot. 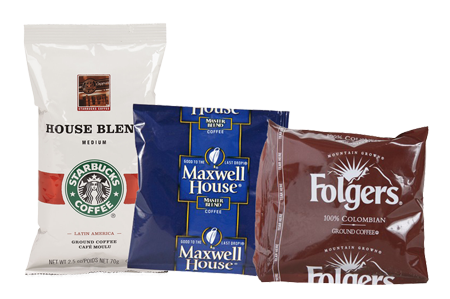 Along with our own fresh roasted Absopure blends, we offer national brands including Maxwell House, Folgers, Starbucks and Green Mountain. If your preference is by the cup, in less than 30 seconds you can custom brew your personal choice of over seventy (70) varieties of regular, decaf, and flavored coffees, tea, cocoa and more. 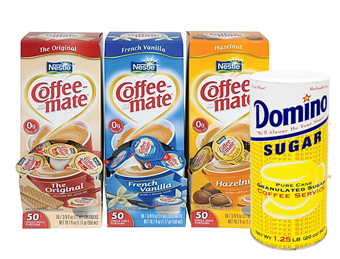 We carry a variety of K-Cup Coffee and Tea Flavors for Keurig Single Cup Brewers including: Folgers. Green Mountain, Diedrich, Gloria Jean’s, Tully’s, Caribou, The Original Donut Shop, Café Escapes, Celestial Seasonings, Starbuck’s, & Bigelow Tea. Click here to view the K-Cup Single Cup Coffee selections. Even we at Absopure know that one cannot live on water and coffee alone… so, here are some additional great refreshment products that we can bring directly to you, wherever you are. Sign up now for Absopure office coffee service, or try the service for FREE in your workplace.